Bestellen Sie innerhalb von 2 Stunden, 59 Minuten und 2 Sekunden dieses und andere Produkte. The Prince Edward Island Notary Stamp is a perfect way for a notary public to mark documents by stamping them with your customized impression. We provide pre-defined templates for each province in Canada in our online customizing tool. 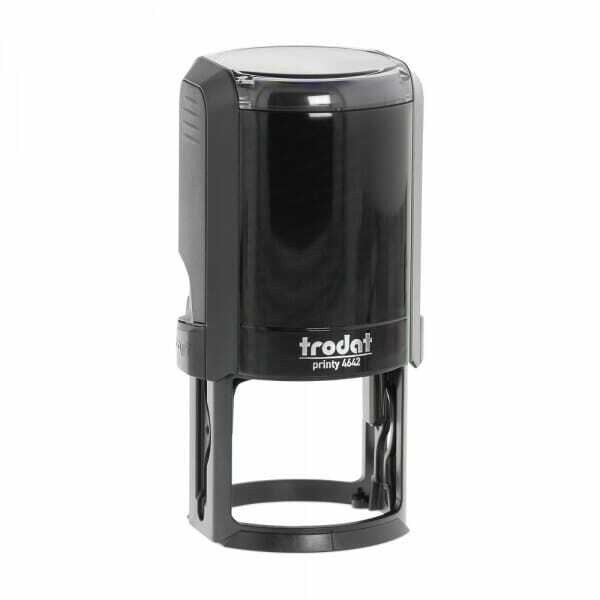 The round stamp is easy to use, has an ergonomic design and allows for precise positioning. 6/4642 replacement pads fit the 4642. They are available in the 5 standard colours: black, blue, red, green and violet. Évaluations de clients pour "Prince Edward Island Notary stamp - 1 5/8'' diameter"